Be the Change is a Las Vegas based event that has taken place for four years now. Suzanne Evans, the event leader, teaches business owners how to create unprecedented profits in a motivational, yet entertaining way. We recently had the pleasure of designing and programming this unique site, which allowed our programmers with creative freedom through the use of a JQUERY slot machine widget that’s featured in the homepage banner. The client requested the slot machine feature, being that the conference is held in Vegas. Our team researched options for customizing the header so the photos would rotate in a slot machine like fashion. We are always happy to fulfill the needs of our clients, further proving that the ICND team goes the extra mile to find, program and customize what our client’s want. 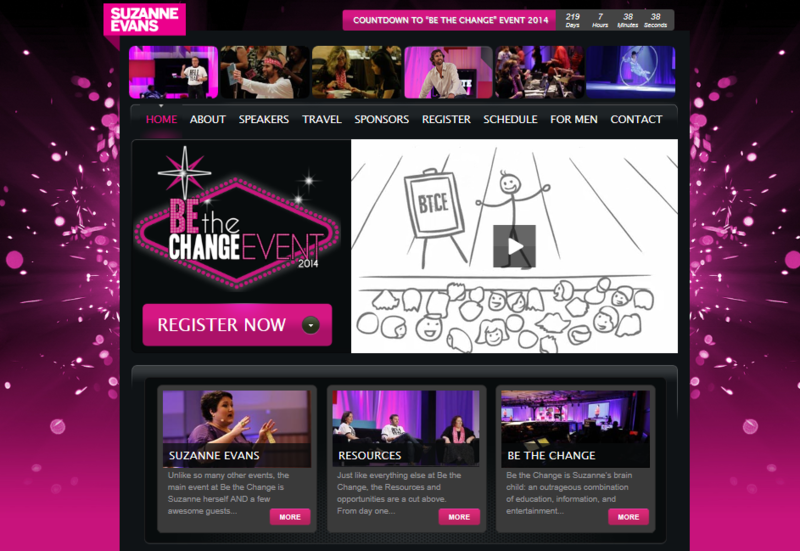 Check out the Be the Change event here. Who knows? You may end up booking your ticket to Las Vegas to see what the buzz is all about!